It’s Chinese New Year just around the corner! This year’s Chinese New Year falls on Monday 8 February and Tuesday 9 February 2016. For many places celebration already started. For those who are not too busy visiting or spring cleaning, here are some ideas of places to go and things to do this festive season here in Singapore. 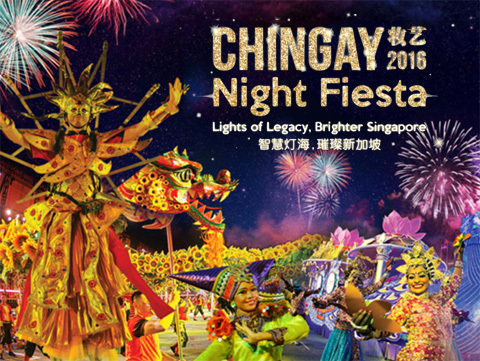 Enjoy the Chingay Night Fiesta. When: Light up from 16 January – 8 March 2016 7.00pm – 6.00am ((7 & 8 February 2016) 7.00pm – 2.00am (Friday & Saturday) 7.00pm – 12.00mn (Sunday – Thursday) . Istana– Chinese New Year Open House! Singapore Philatelic Museum– Chinese New Year Open House! Singapore National Museum – Chinese New Year Open House! Giant sculptures and statues of creatures and characters from Chinese Mythology, Famous scenes for literary works and the zodiac too. Check out our trip at Haw Paw Villa. Next Story » Coming up – KidZania!